Customer safety and fire safety. These two things are among my biggest concerns when surveying and inspecting commercial properties. Although we often hear the phrase “safety first”, I believe proper planning and training should come first – because they lead to safe practices. Be sure employees are trained on the location and appropriate use of all fire suppression and prevention systems. This training should be a priority upon hiring. Have appropriate evacuation plans in place in the event of an emergency and be sure all employees understand the process. Make sure all walkways, hallways and exits are clear and free of obstructions at all times. 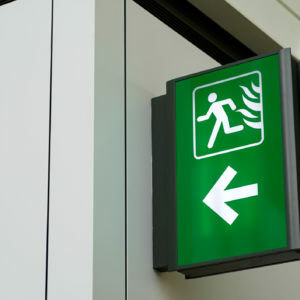 Maintain well-marked and lighted exits to avoid confusion in the event of an emergency. Test emergency lights regularly and have fire suppression equipment tested annually. Putting these tips into action and taking the time to train your employees today could save you from stress tomorrow. Protect your team, your customers, and your piece of the world by putting planning and training first – and safety will follow.